Last week, WhatsApp rolled out a new ‘Status’ feature, and in doing so, WhatsApp ditched the old text based status feature. Well, this certainly hasn’t gone well with many of its users and it seems WhatsApp will soon bring back the old status feature. 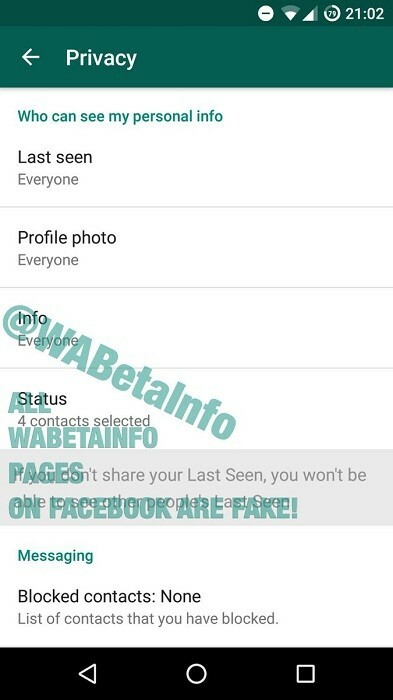 Last week, we saw WhatsApp testing the old status feature as ‘Tagline‘ on iOS and Windows Phone beta, however, this feature is now being tested on Android as well. 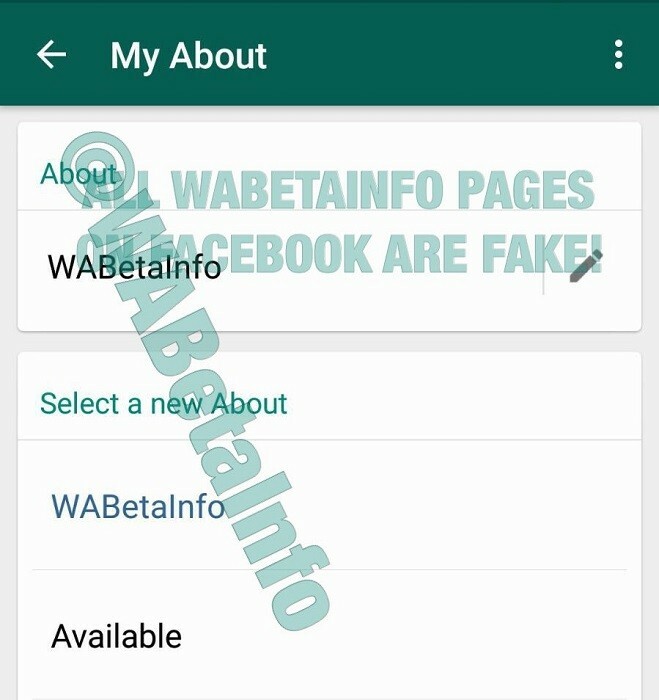 This old text based status feature is being tested on WhatsApp’s Beta version 2.17.85 of Android. While it was renamed from Tagline to Info on version 2.17.83, it’s been now renamed to About. In the beta version 2.17.85, the text based status can be changed under the My About section. Apart from bringing back the old text based status feature, WhatsApp might also offer some more privacy settings. Before the new status feature came in, users were only able to set the privacy of their text based status as Nobody, Everyone and My contacts. 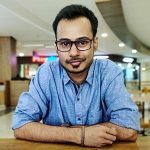 Well, WhatsApp might offer more control over privacy settings and let you pick up contacts with whom you want to share your status, or maybe not. 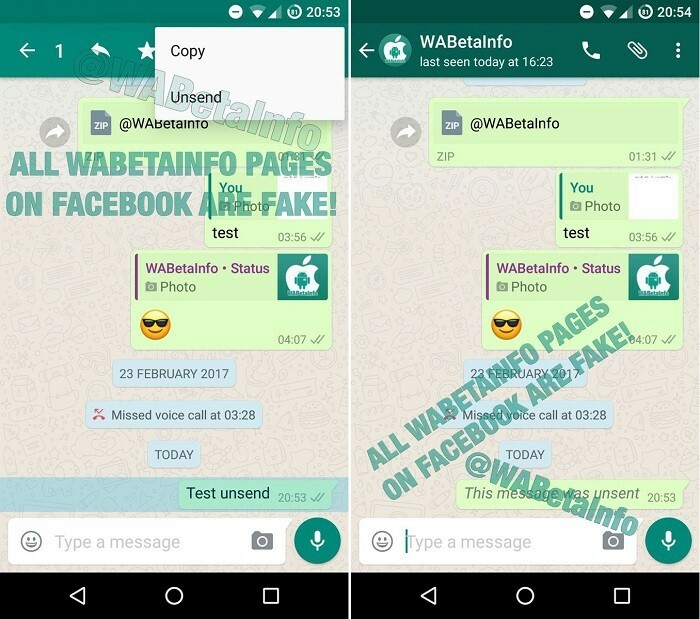 In late January, we also saw WhatsApp testing features which would let users recall and edit messages. At that time, the message recalling feature was called “revoke”. Well, it’s now simply called “unsend” in 2.17.83 beta version of Android. We hope that after the testing is done, WhatsApp will not only bring back the good old text based status feature, but, will also let users recall and edit sent messages.